The machine is composed of one or more dispensers. 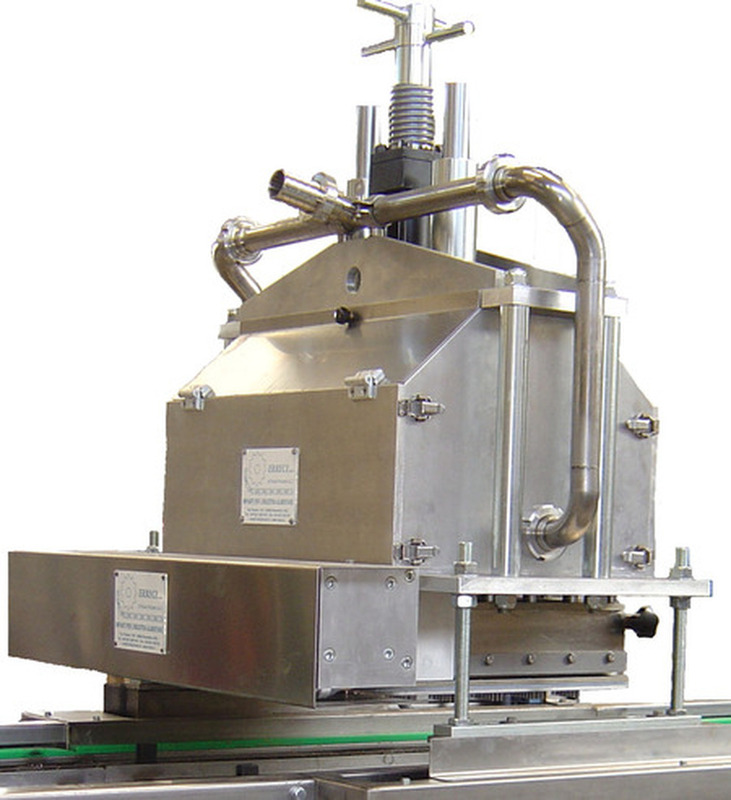 Each output has a volumetric cylinder for maximum precision of dosage. The dosing unit is equipped with an attached lever for the vertical movement that is synchronized with the intermittent movement trays conveyor which is located in the part below. The jets dosing can easily be removed for quick format change and a quick cleaning. The maximum production speed is 30 cycles per minute.